If you have a chronic disease — such as heart disease, diabetes, asthma, or back or joint pain — exercise can have important health benefits. However, it’s important to talk to your doctor before starting an exercise routine. He or she might have advice on what exercises are safe and any precautions you might need to take while exercising. 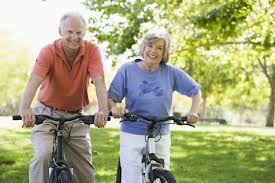 If you have low back pain, for example, you might choose low-impact aerobic activities, such as walking and swimming. These types of activities won’t strain or jolt your back. Before starting an exercise routine, it’s important to talk to your doctor about how long your exercise sessions can be and what level of intensity is safe for you. If you haven’t been active for a while, start slowly and build up gradually. Ask your doctor what kind of exercise goals you can safely set for yourself as you progress. If you have heart disease, for example, signs or symptoms that you should stop exercising include dizziness, unusual shortness of breath, chest pain or an irregular heart beat. ← Lets see if we can get this working!